I enrolled in a knitting class for this Saturday - actually, it's a crocheting class for knitters. I am trying to learn some good finishing techniques. My common complaint about my knitting is that it doesn't look polished or properly finished. 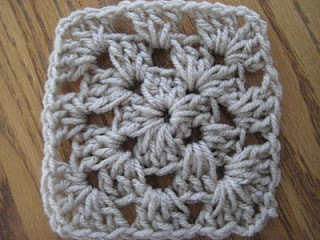 A few people have recommended that I do a crochet border around my projects to hide the uneven or unsightly edges. 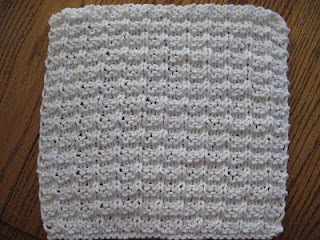 I knitted up a few dishcloths and plan to make at least one more. I have just a bit of cotton yarn left and I'm trying to use it up. The pattern I used is called Double Bump Dishcloth and it was a lot of fun to knit. Tonight, I will start on the third one. Let's start off the New Year with a great picture of Delilah Bug. 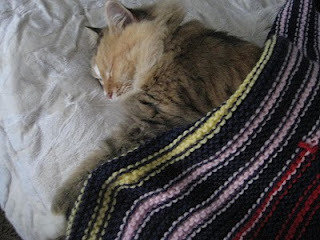 That's my scrap blanket over her. She's not usually a fan of having blankets or sheets over her but we've been experiencing colder weather these last six weeks. We are starting to see some promise of relaxing between Delilah and Macy. Close quarters still means that there is the occasion hiss or aggressive stance, but there are these moments between the two of them. For example, during feedings, they can get rather close to each other with just a glance and I hold my breath waiting for the vocalizations to begin. Instead, they just separate from each other. I still hold out hope that they will be become friends. To have a picture of these two curled up together.....I would die a happy woman.